Home » Uncategorized » Why Sony to stop making Betamax tapes is more significant than you might think. 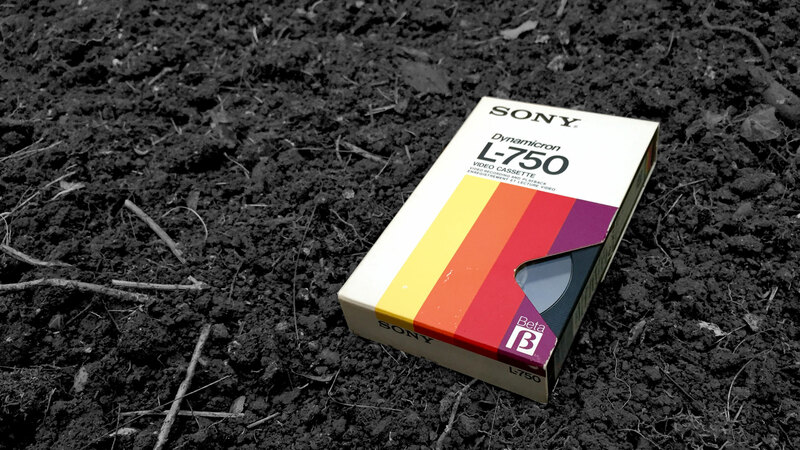 Why Sony to stop making Betamax tapes is more significant than you might think. Comments Off on Why Sony to stop making Betamax tapes is more significant than you might think. As you may have seen in the news, Sony have just announced they are to stop producing its old Betamax format video tapes from March 2016. But what you might not have heard is that this is part of a far bigger move to stop producing all its Beta-based video tape recorders and cameras. While you might think that surely they stopped making them back in the 80’s after losing the format war to VHS, there have been many very successful professional broadcast video formats based on the same technology. From Sony’s analog Betacam tapes, their Digital Betacam, right up to their HDCAM SR, plus several other variants in between, to the average person in the street they all look like the old Betamax tapes. For many years these tapes have been the broadcast industry standard. TV shows, news reports and commercials would all be filmed on them, edited from them, and mastered onto them. They would be used to deliver copies to TV stations around the world. They were brilliant. Just yesterday I was recording over 50 different master edits onto several HD BetacamSR tapes. But those days are over. In the last few years video technology has moved on. In the same way your old camcorder has been replaced by the video camera on your mobile phone, the broadcast industry has moved over to cameras that record directly to hard drives and removable card storage as digital files. The picture quality is excellent, the flexibility is greater, a huge amount of time is saved in the edit suite and far less physical space is required to store the footage compared to the mountain of tapes that would have been used previously. All of these things dramatically reduce costs and speed up workflow. I was lucky enough to be involved in the process when the BBC switched from shooting on tape to data, starting with Doctor Who and Sherlock. It was a big step, but it has changed the industry completely. Sony have seen this day coming for a long time. But it is time to say goodbye to the physical tape era. Many companies, from the BBC to advertising agencies, have transferred their old tape masters to digital formats now, knowing they won’t be able to play the tapes in the future. The same applies to the personal market too, except it is even more pressing here. At the moment the more recent broadcast formats are still supported in many TV stations and post production houses. But the domestic formats are already long dead, and the tapes are old and deteriorating much quicker than the professional formats. Sony have called it. Tape is dead. Long live digital.